High speed data transfer and voice/video distribution. 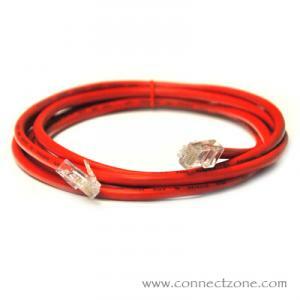 Cat5e or Cat6 patch cables ensure the capability to handle today's and tomorrow's bandwidth-intensive applications. You can use the crossover cables to connect network switches and hubs without an uplink port to other devices. Our cables are tested and meets all EIA/TIA standards. These cables drastically reduces both impedance and structural return loss (SRL) which ensures error-free transmission.